“Fish oil comes from the tissues of oily fish. The best sources are cold-water, fatty fish. When it comes to human consumption of fish oil, you can get it from fish themselves or from a fish oil supplement. Fish oil is a concentrated source of omega-3 fats, which are also called ω-3 fatty acids or n-3 fatty acids. To get more scientific, omega-3s are polyunsaturated fatty acids, or PUFAs. Our bodies are able to make most of the fats we need, but that’s not true for omega-3 fatty acids. When it comes to these essential fats, we need to get them from omega-3 foods or supplements. How does Fish Oil Help with my Auto Immune diseases? Autoimmunity occurs when your immune system confuses your own tissues as foreign invaders and as a result targets your entire cells. Inflammation is one of the main culprit and driver of most, if not all auto immune diseases and in many cases, associated with other diseases as well, including cancer. Over 20 Million people are affected with an auto immune disease in one form or another and women happen to have a higher percentage rate of being diagnosed with an auto immune disease. Below are some commonly known auto immune diseases. Inflammation occurs naturally in the body and is actually necessary for healing, but when experienced chronically there are issues that arise and manifest as immune disorders. I was really surprised to learn that autoimmune issues originate in the gut. If your gut is out of balance, inflammation will run rampant throughout. Fish Oils work by helping alleviate the pain associated with chronic inflammation. It also triggers other cells to signal the reduction of inflammation. I remember when I was little my mom forcing my sister and I to take a spoonful of this stuff every other day. It was in a brown bottle and used to smell to high heaven. That smell of fish oil was so disgusting and nauseating to me and there was no chaser at the end. The after taste would last for the whole day and I hated that when I burped throughout the day the scent would linger….YUCK. But despite its disgusting smell and taste, my mother and grandmother knew what they were doing. Looking back I can see why they made sure Fish Oil was part of our diet as children. I started taking fish oils at the start of the year 2017 and with like most supplements I rotate into my diet, I stopped taking it after 3 months in March. I like to rotate my supplement intake and normally take them for 2-3 months at a time to see how my body reacts to it. After that, I stop taking them for another 2-3 months and reincorporate the same supplement back it into my diet or try something else. 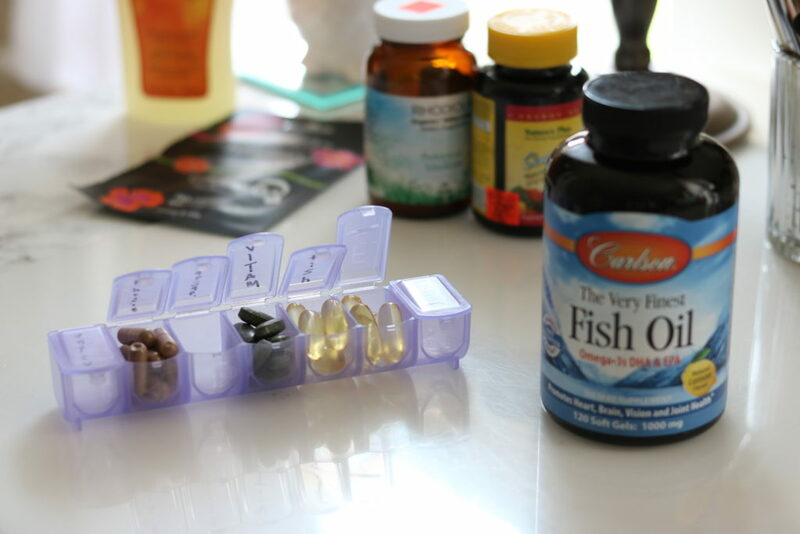 When taking fish oils I try to take at least 2 a day, one after breakfast in the morning and one after dinner at night. Since the body does not produce Omega 3’s it’s important we try to get Fish Oil nutrients either via supplements or our diets. Although ideally our diets would be the best bet, given how we farm most of our sea food and rarely consume wild caught fish, a supplement may be your best option. Fish Oil supplements can be purchased at most health stores. 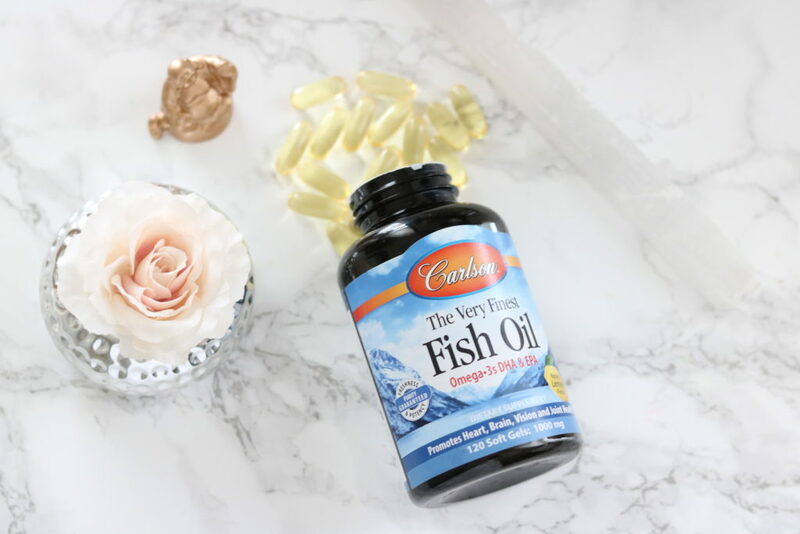 You want to make sure that you’re getting the most natural form of fish oil and that you research the vendor to make sure you’re getting the best quality for your buck. 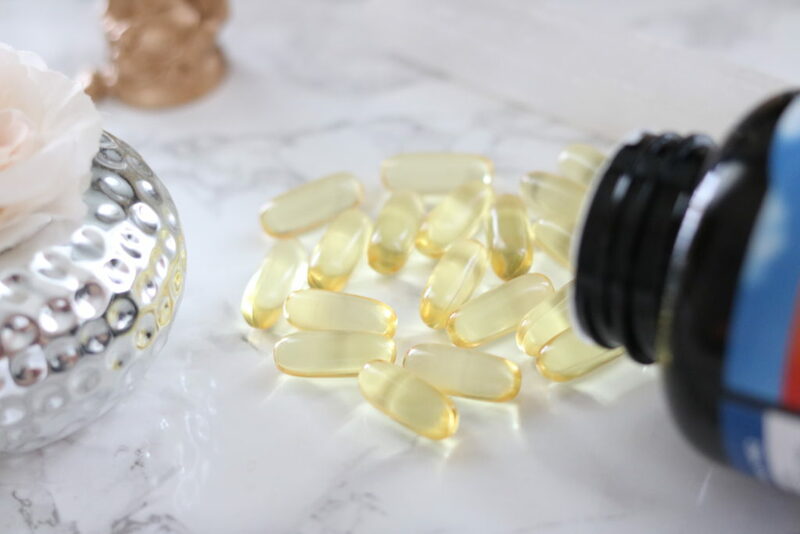 The reason why I chose fish oil to help with flare ups is to avoid and if possible, completely eliminate my dependence on NSAIDS such as ibuprofen (Motrin), Naproxen (Aleve) and other non-inflammatory pain killers. Although these pain killers work for the moment, they’re only masking the problem. And if my symptoms gets worse it can lead to me dealing with steroid pain killers. All these medications come with a laundry list of side effect that can cause permanent damage to other organs. At least with fish oils I can work on beating inflammation while at the same time nourishing my body without the negative side effects. What brand of Fish Oil do you prefer? After some research and recommendations, I purchased the brand by Carlson at my local health store. 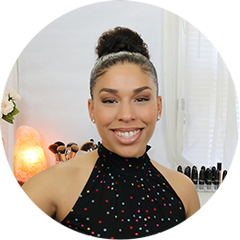 This particular brand had the most researchable reviews online and they’ve been recognized with many awards for brand notoriety and quality. Carlson is also a family run company dedicated to premium quality of not only Fish Oils but other amazing supplements. Fish oils can be a little pricey so depending on the brand you choose and where you purchase it from, prices can vary. I purchased mine with a bonus bottle for about $25. Unlike the good ol’ days of my mom, these are capsules which are flavored. I don’t know if the flavor is necessary as I don’t seem to burp these fish oils, so I don’t deal with any after tastes throughout the day. What are the side effects or precautions of fish oil? Although side effects are not common with Fish Oils there are some precautions to take as with any new supplement you may be starting. Depending on where you purchase your fish oil from you may be exposed to high levels of mercury if it’s not processed or sourced from a reputable brand. People with stomach sensitivities such as IBS should take it with food to avoid any stomach or bowel disruptions. *Disclaimer: I’m not a Medical Doctor, Psychologist nor am I making any claims for healing. If you have a medical condition or are interested in taking fish oils, please make sure to discuss with your trusted Medical Professionals. Fish oil has many benefits from taking it! Great post, loved reading it.